Mobile Apps Development and Deployment for Your Organization (Known as ‘Let’s Build a Mobile App !’ Previously) aims to give you the knowledge and skills to start developing your own Mobile Applications with zero programming experience. You will learn about the differences between mobile apps and how they are developed for specific mobile devices and the different App stores. On completion of this course, you will know how to develop your own app live using the portal, add styling and functionality to it and deploy it to your mobile devices. 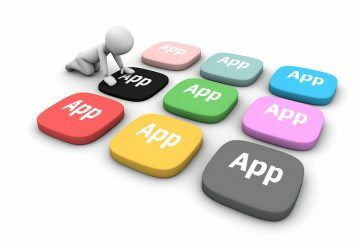 Apply the knowledge instantly to create a functioning Mobile App. The focus is on Designing Concept and create a working commercialized Mobile App using the MACS framework. Hands-on experience of using MACS to create a mobile app and get it working on their mobile device in a real-time environment. Mobile Apps Development and Deployment for Your Organization – Beginners is a course that is recommended for individuals who would like to start developing their own Mobile Applications and with zero programming experience. It is preferably for the individuals to have prior experience using a smartphone and the App store. They are required to bring their own mobile device (e.g. mobile phone or tablet) during the course to preview the Mobile App created in the workshop.